Fitting an alarm typically deters opportunist thieves. However, given sufficient time, a determined thief can remove or disable almost any alarm. The aim of most security devices is to persuade the thief to abandon the attempt and find an easier target. Many different types of caravan alarm are available, with prices, sophistication and reliability varying greatly. Issues such as power consumption during periods of storage and ease of disablement are difficult for purchasers to assess. The Sold Secure Standard for caravan alarms addresses these and other important issues. There is currently one combined alarm and tracking system that meets this standard. However, sadly, no other manufacturer has applied/re-applied for Sold Secure status. Any product found showing the Sold Secure logo may be old stock. If you are looking for a Sold Secure alarm, check the Sold Secure website for the current position. Although the base vehicles on which motorhomes are built are showing improvements in security devices, such as better door locks, the habitation area has a long way to go and generally provides no greater security than a trailer caravan. The efforts of the base vehicle manufacturers are frequently nullified by the relatively poor security of the conversion, particularly in the case of coachbuilts. In order to protect not just the motorhome, but the contents as well, a good quality alarm should be considered. Most alarms should be fitted by a competent auto-electrician - many companies installing car radios also fit alarms. To find a competent alarm/immobiliser installer, contact Thatcham Research on 01635 868 855 www.thatcham.org. If you are towing, tell your installer that power will be drawn from the tow vehicle’s 12-volt system. This could affect the operation of some types of alarm which rely on detecting a voltage change in the car wiring. 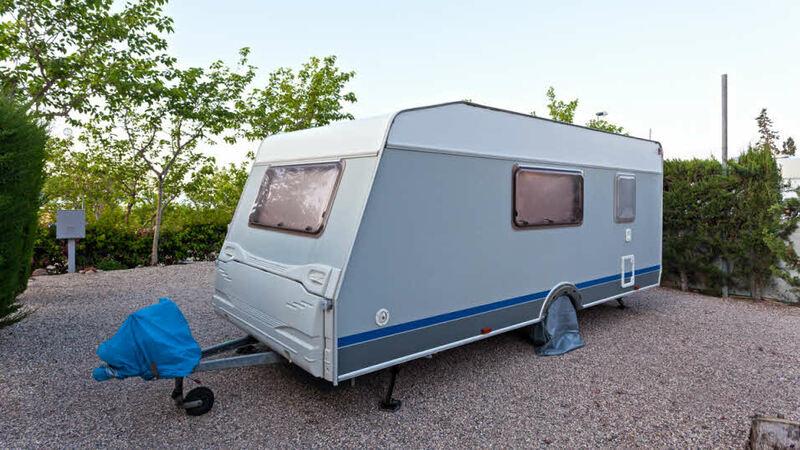 After fitting, make sure everything works properly with the caravan connected. Manufacturers of all common base vehicles for motorhomes now fit an engine immobiliser as standard. Whilst these will not protect your motorhome contents, they should stop the vehicle from being driven away. Tracking systems enable a vehicle to be located after it has been stolen. There are various types of system available for both caravans and motorhomes. In terms of power consumption, systems designed primarily for caravan use also tend to suit motorhomes. Look for systems that have passed the requirements of the Sold Secure standard - confirming their suitability for caravan use, their durability and resistance to attack. These are the only systems that we consider to have a proven level of performance for vehicles which spend significant period in storage. There is also a fundamental difference between ‘Monitored’ systems, where any alarm directed to a monitoring centre, who can then contact the owner and/or the police and ‘Unmonitored’ systems, which usually alert the owner directly, often by mobile phone text messages. In all cases, the equipment is relatively expensive, and monitored systems additionally incur an annual fee for the monitoring service. The effectiveness of all tracking systems depends on being able to not only locate but also to recover the stolen vehicle. Current police policy does not guarantee a response to a stolen vehicle report via a tracking system. Forces may respond to reports alerted via a legitimate, accredited monitoring centre, but are far less likely to respond to an alert made directly to the owner. When choosing a tracking system, ask the provider for details of any monitoring centre used, and look for characteristics like a police-allocated Unique Reference Number and compliance with the Association of Chief Police Officers and Home Officer guidance on Stolen Vehicle Tracking Systems. Tracking systems are building a reputation for themselves as being an effective way of recovering stolen vehicles. Often recovery is very rapid, and before any significant harm has been done to the vehicle. Do not assume that all insurers will recognise a tracking system as justifying a discount – check before buying. Since 1992, all touring caravans manufactured by National Caravan Council (NCC) members have been marked on their chassis and on all windows with their unique 17 digit Vehicle Identification Number and these are recorded on the CRiS database. Additionally, all new caravans manufactured by NCC members since August 1997 are electronically tagged during manufacture for added security. From 1999 this scheme was extended to allow pre-1992 and privately imported caravans to be registered in a similar way. CRiS marking can be further enhanced by using CRiS Xtra Kit (microdot), which links directly to the CRiS number. The UK motorhome industry and HPI have joined forces to create MINDER, a vehicle security and registration system to help protect against and combat theft and fraud. Most UK-built motorhomes sold since 2001 carry a unique Motorhome Identification Number (MIN), a Vehicle Identification Number and their Vehicle Registration Mark (VRM). This gives a greater all-round level of security to owners and enables future buyers to identify the vehicle and check its history. In addition, to ensure accurate identification, each motor caravan has a ‘hidden’ electronic tag and visible etching of the MIN number, as well as a permanent warning sticker. For further information contact MINDER on 0845 300 7507 or email minder.uk@hpi.co.uk. A variety of wheel clamps are available on the market, but not all are sufficiently robust to withstand sustained attack. Be wary of those which could be removed by simple deflation of the tyre. For all round confidence in such products, look for approval markings by organisations such as Sold Secure. Arrange to have your vehicle’s registration number etched onto all glass services – including the headlamps. You can also use the last 7 digits of the Vehicle Identification Number (VIN), or some other unique identifying number linked to a recognised database adhering to Loss Prevention Council (LCP) standards 1224 and 1225. Buyers are strongly advised to check with HPI who, for a fee of £24.99 by telephone or £19.99 online, can say if the vehicle has suffered major accident damage, has money owing on it, is recorded stolen or at risk from theft, or has had a change of registration plate. Call 0845 300 8905, or visit www.hpicheck.com. Sold Secure, the Home Office and Police backed testing organisation, has developed specifications to keep up to date with the methods used by thieves, and increasing numbers of caravan insurance companies fully recognise the work done by Sold Secure. Current information on products is available on the Sold Secure website: www.soldsecure.com, or by phone on 01327 264687. The Motor Insurance Repair Research Centre (MIRRC) at Thatcham is responsible for approving alarms and immobilisers which have met their test standards. Consumers can obtain current information on 01635 868855, or from their website: www.thatcham.org.